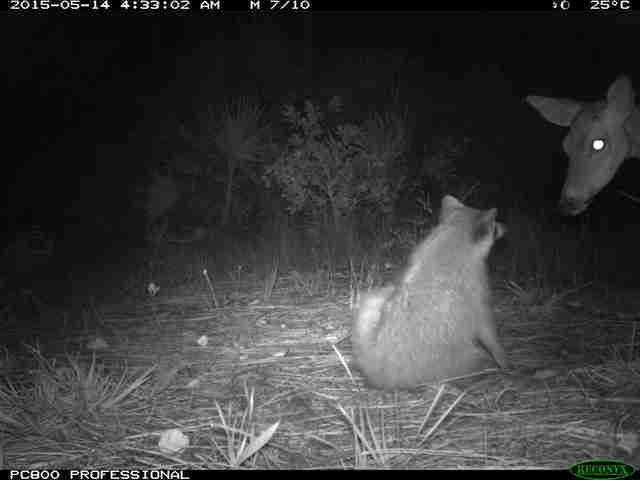 Michael Cove — a biologist studying the effects of free-ranging cats on endangered small mammals in the Florida Keys — was examining the footage from hidden cameras when he came across something unexpected and rather cute. The cameras had caught wild deer on the islands canoodling with other species, like cats and raccoons. And scientists aren't entirely sure what to make of it. 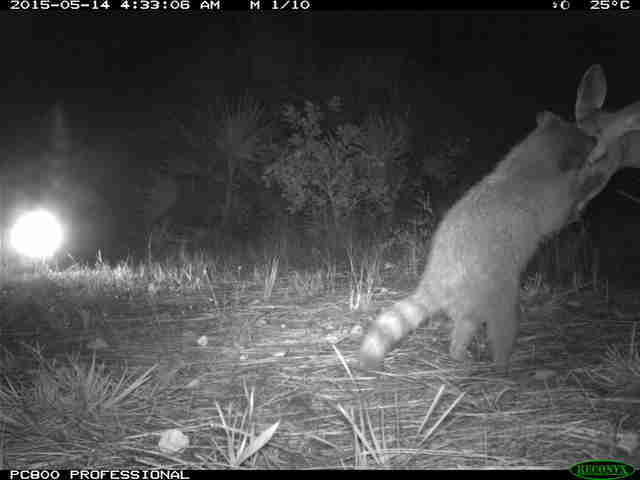 "I've been studying raccoons and other mesocarnivores (mostly using camera traps) for nearly a decade," Cove told The Dodo. "This was the first time I had ever observed any type of mutualistic interaction between them and another mammal." Mutualistic refers to how unconcerned both parties appear about the interaction, suggesting that it's pleasant for everyone. 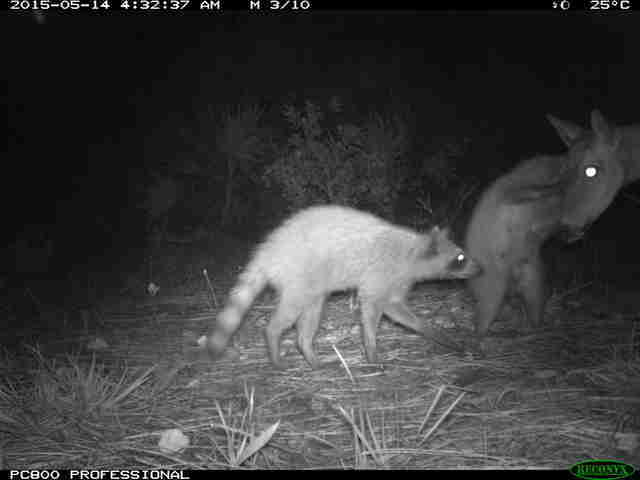 "We obtained a camera trap sequence of 80 photos in which a Key deer interacted with two northern raccoons," Cove wrote in a paper on the topic. "One of the raccoons groomed the deer's face for [about] one minute. This interaction is peculiar and appears mutualistic because the deer was not concerned and willingly remained still throughout the physical contact." And Cove isn't the only one. Another scientist, Chris Lowe, who is mainly interested in sharks, ended up spotting a deer on Catalina Island, out in California, going up to a fox and licking his little head. The common theme, it seems, is related to animals who live on islands, and Cove had some hypotheses on why island mammals might be extra snuggly. It may be that deer who have lived for generations on islands have let their guard down a bit in the absence of predators, allowing them to act on their curiosity about other animals. But it also may be that deer and raccoons are more likely to come into contact because more of them live in close proximity to each other on islands. The downside to being snuggly, Cove points out, is that it increases the likelihood that illness can spread across species, and considering Key deer are an endangered species, they should be extra careful not to snuggle up to the wrong raccoon. And yet it's also not unheard of for deer on the mainland to snuggle up to other animals, like house cats — in which case, everyone's pretty much stumped.